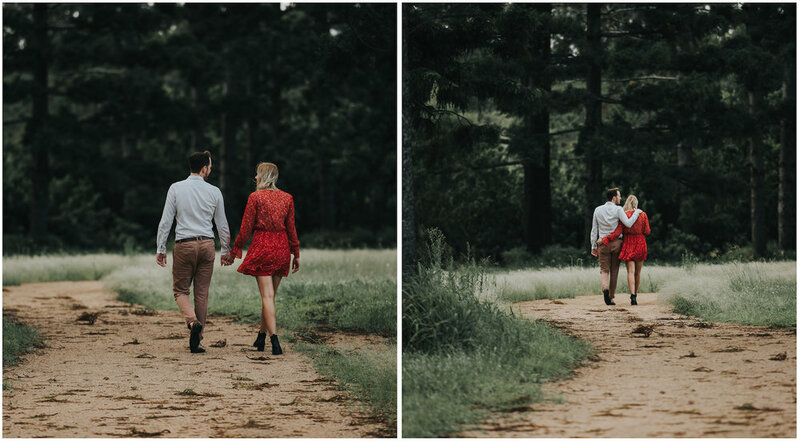 One of my favourite places to photograph my couples is the Secret Pine Forest. It's one of those hidden gems - less than 8km from Brisbane CBD - where you could be anywhere. Accessible only by foot with a 25 minute walk, the payoff is an incredibly beautiful, private and versatile location featuring hoop pines and a stunning sunset behind the trees. 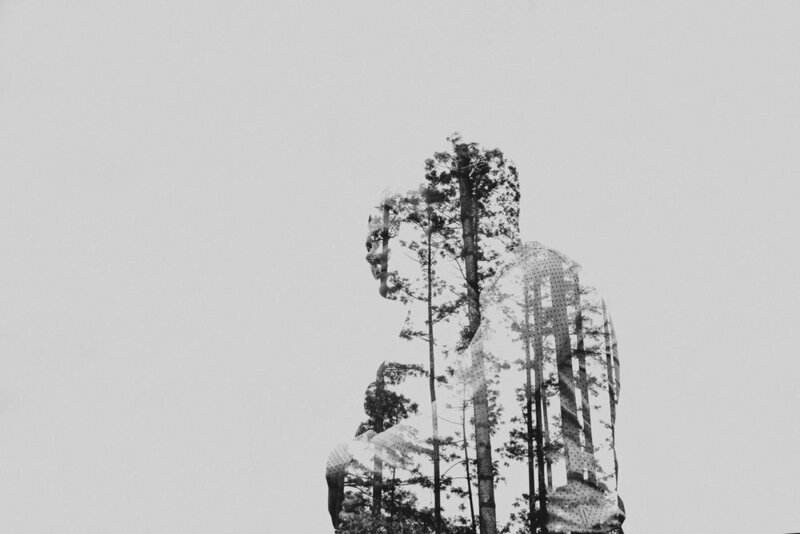 Candice, Peter and I ventured to the Secret Pine Forest at the start of December. After what seemed like relentless rain for months, the forest was a lush green with twinkling leaves and stunning natural light. 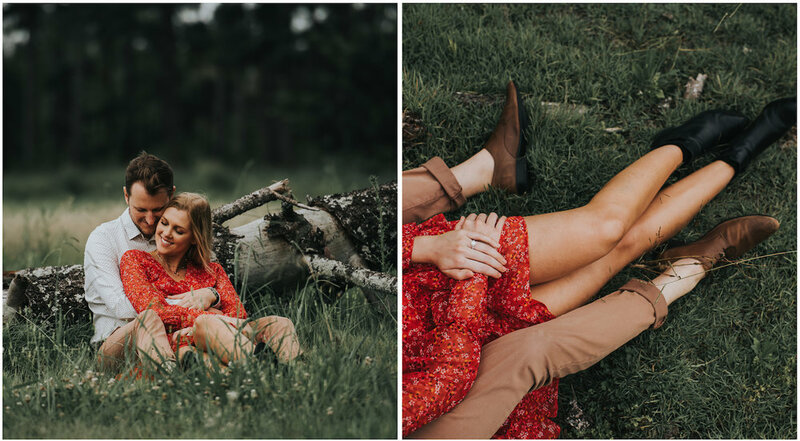 With their wedding coming up this September, the engagement session was an opportunity to take a break from the planning and simply enjoy the scenery and being with one another. 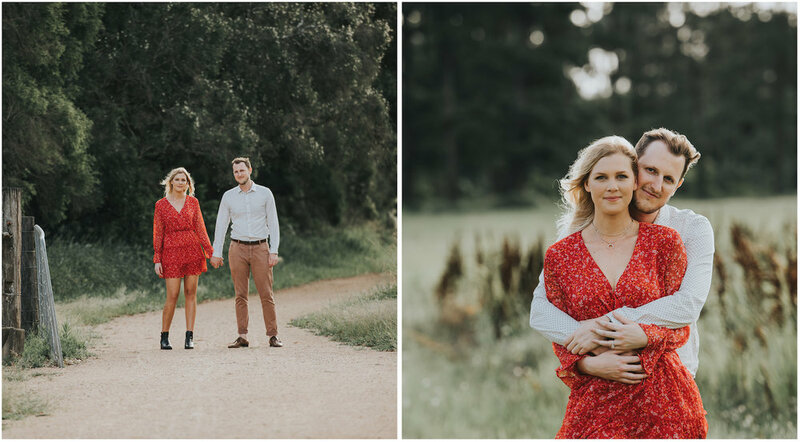 I adore engagement sessions and include an engagement experience in all my wedding collections. 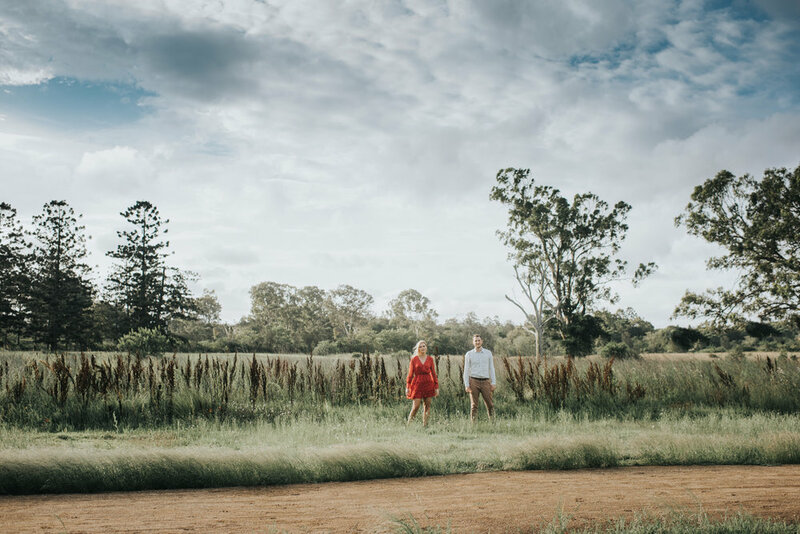 Not only do I love getting to know my couples better, I truly believe that getting in front of the camera before your wedding day is vital to being comfortable and relaxed for your wedding portraits. It is also one of those unique times where you can both celebrate all that is yet to be in the most natural, wonderful and chilled way. It is a session that focuses on you as a couple to the exclusion of all else and for that reason, is so very special. It really is, one of the first chapters in the document of images that will become your love story to tell in years to come. Are you recently engaged, know someone who is or simply want to escape somewhere beautiful for an hour or so? 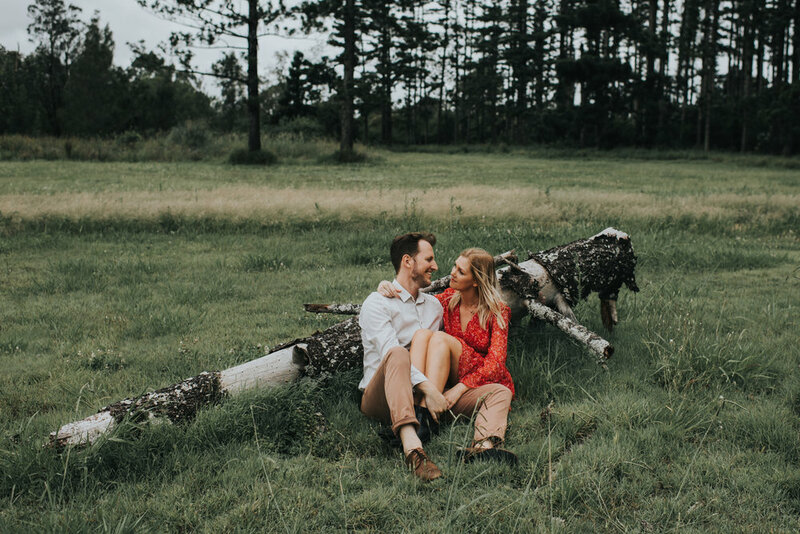 I have so many hidden locations in and around Brisbane such as the Secret Pine Forest that are private and picturesque - the perfect setting for you and the one you love best to celebrate your love story. If you'd love to book a session, get in touch today.